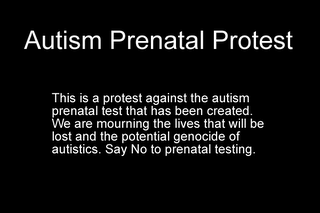 I just wanted to add the above image, from the Autism Prenatal Test site. If you want to use it on your site/blog/car bumper sticker, feel free to do so. It's now possible to test for autism in your unborn baby. 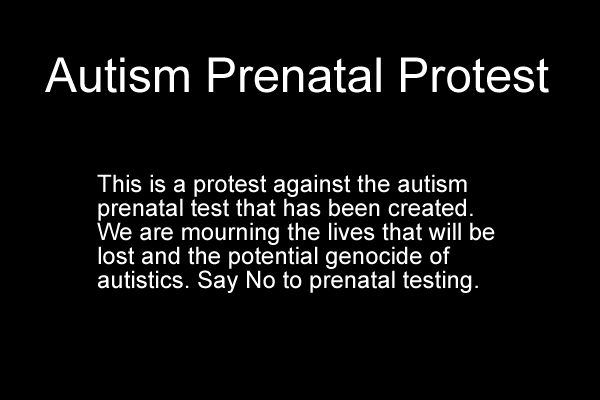 A blood test, so far with a very limited availability, can be used to scan the fetus for possible autism genes. So the question is: if you knew, would you do it? Before you start arguing for the parents' right to choose, please have a look at this site. I won't force you to read all of it, but at least consider if, given the choice, you'd have allowed Bill Gates to be born. Yeah, I know; I'm a Linux user myself, and a question such as this, even if it is rhetorical, is almost impossible to resist.